The best interactive workshop you’ll do in 2019. Why would I (as a developer) need to improve my emotional intelligence? core tenets of the Agile Methodology. The best way to work with people is to understand and empathise with them. How do we do that? By first understanding ourselves. These are the core tenets of emotional intelligence. Why would I (as a developer) invest in an emotional intelligence course? 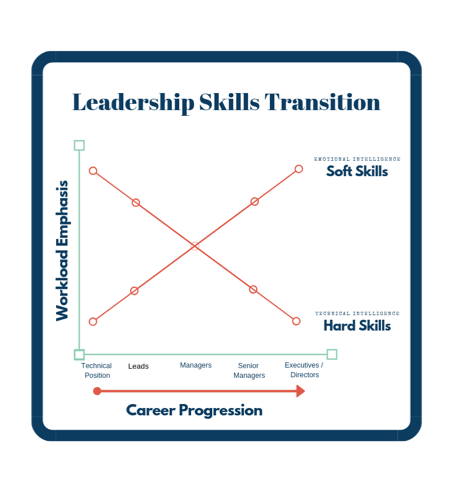 Technical skills can only take you so far in your personal and professional development. A higher EQ will propel you towards promotion and higher earnings far more effectively. According to Daniel Goleman, the prominent author and researcher, two-thirds of job performance delta between low and high performers is due to emotional intelligence. In leadership positions, this grows to 80%. be the developer who gets promoted first. Be the developer who uses emotional intelligence to optimise your current technical skills. Why should I choose you instead of your competitors or just reading an EQ book? We personalise our content and workshops to meet your individual needs. We do this by providing a fully interactive learning experience. Our Pillar Leaders EQ Psychometric Test ® gives you the perfect start. We will inform you of your current emotional intelligence score across four EQ pillars. Our expert facilitators will then take the time to answer your specific questions and provide you with a step-by-step approach to boosting your emotional intelligence. After leaving the workshop, you will have a clear road map for development. Ambitious Developers who want to have success in their career and avoid the stagnation of those who can’t focus beyond their technical skills. Experts who want to express their ideas better. We are all an expert in something and we owe it to ourselves and others to share in a way that makes sense and has impact on decision making. What is the content and how will your course improve my emotional intelligence? Understanding the Four Pillars of Emotional Intelligence and how they relate to improved personal performance and daily relationships in the workplace. Recognising personal EQ strengths, weaknesses and the most effective way to improve. Improved understanding of others; irrespective of their relationship to us (client, boss, peer, etc). Real life skills used to effectively lead, communicate with and influence others. How to create change in others and align teams or clients with your perspective.